Has Macri finally created a hub for Argentina's startups? It’s been over a year since Argentinian president Mauricio Macri took office. He made big promises to boost business in the country and particularly to aid tech startups and entrepreneurs. Has he made good on his promise to foster a friendlier environment for the sector? 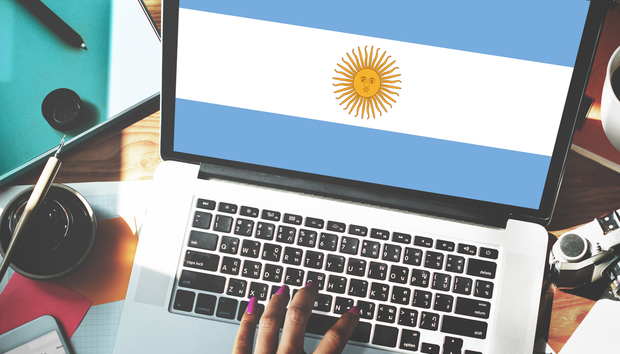 In August, his government announced Argentina Emprende (Argentina Undertakes), a collection of bills that will allow people to set up a business in 24 hours and cut away much of the bureaucracy and costs. “That is a big help for tech and outsourcing companies and removes a lot of the friction of doing business,” says Will Hiscocks from Startup Buenos Aires. Hiscocks adds that he’s seen a series of benefits introduced for small businesses that have stimulated entrepreneurship and the Macri administration has eased currency controls to entice foreign investment into the country. “The government is also creating incentives for accelerators and venture capital funds to open in Argentina,” he explains. NXTP Labs, a seed fund and startup accelerator in Buenos Aires and several other LatAm locations, raised $3 million in funding in October from the International Finance Corporation (IFC), the investment branch of the World Bank. It’s all part of IFC’s $30 million Startup Catalyst program that pumps money into accelerators and incubators in emerging markets. These connections have paid off for some startups on the ground, like Afluenta which was backed by NXTP Labs and raised $8 million earlier this year from IFC. Kaszek Ventures, based in Buenos Aires, is a VC firm with focus on Latin American startups and growth companies. Since founding five years ago, it has contributed to dozens of funding rounds in Latin American companies but still keeps a foot on home turf with investments in mobile ecommerce startup YOP and NuvemShop, another ecommerce company, which is proving to be a popular area. The funding landscape has improved considerably in this time for many companies. Restorando, a restaurant booking platform, has raised more than $24 million while ecommerce firm Avenida raised a $30 million Series C round last November led by Naspers. “President Macri understands entrepreneurship very well and works accordingly,” says Gladys Frontera from Afluenta, which welcomes the new policies for entrepreneurs. “It’s a long term strategy that will pay off. MercadoLibre, sometimes described as the Argentinian eBay, is perhaps Buenos Aires’ biggest tech success. Its founder and CEO Marcos Galperin may be Macri’s best ally when it comes to promoting tech in Argentina. Galperin recently launched a $100 million expansion plan that will also create 5,000 new jobs. Steadily growing the business since 1999, MercadoLibre raised funding from Goldman Sachs and indeed its own inspiration eBay (although the company recently divested itself). Eventually MercadoLibre went public in 2007. It made Galperin one of Argentina’s first technology billionaires and is a bastion for the Macri government that says tech is the way to go. For many years Argentina has offered an attractive proposition for multinationals to outsource staff. Accenture and finance giants like JPMorgan Chase and Citigroup have placed call centres and research departments in the country. JPMorgan Chase intends to hire hundreds of technical workers at its new support centre in Argentina. But it’s only in recent years that more and more young entrepreneurs are trying to build out their own native companies. The outsourcing industries may have given the economy a shot in the arm but it’s startups that need to carry that momentum forward. “Right now, the Marci government is exactly what the startup scene in Argentina needs,” asserts Hiscocks. Of course the government alone cannot create a thriving ecosystem for startups but it needs to create the environment and foster it. This can only be achieved through these policy changes.